It hardly seems possible most of the time, but constant abrasion from tree limbs and bushes moving in the wind can damage the finish of a metal roof - or worse. Given years of wind motion and a hard enough branch, it's possible that a metal roof could be damaged beyond having its finish compromised. 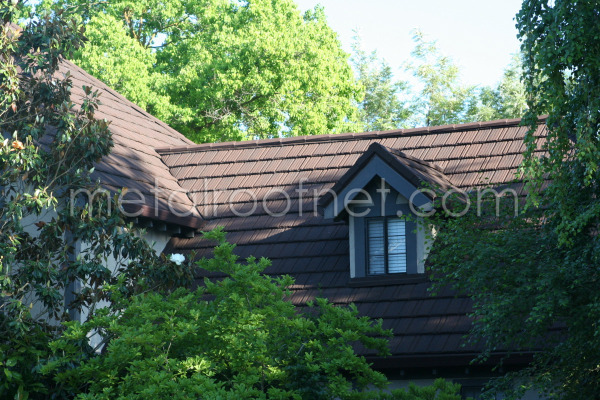 Keep your trees trimmed and well away from your metal roof! While rain and snow will rinse away most of the leaves and debris that can fall on a roof, certain roof configurations (especially long valleys beneath big trees) will need more from time to time. I've seen some clients employ an extendable window cleaning brush with soft bristles to great success to pull debris down out of a valley. Whatever you do, just be careful using a hose and shooting water up under your roof - and that could cause a big headache. A sufficiently hard jet of water can push moisture past even a metal roof given the right circumstances. Better to use a less problematic method - like a brush. Even though most metal roofs can be walked on (in fact, walking on them is required during the installation) without damaging the function or appearance, it's not something you should be doing regularly. No manufacturer wants a constant stream of traffic leaving marks on his carefully made roof covering, and so be careful to keep any traffic to a minimum. And if you or someone else finds a need to walk on the roof, try to ensure that they are at least somewhat familiar with the manufacturer's recommendations in that regard. In keeping with minimizing accumulations of debris on the roof, accumulations of debris in the gutter are just as potentially problematic. Year-round contact with wet leaves and dirt building up in your gutter can damage your metal roof. 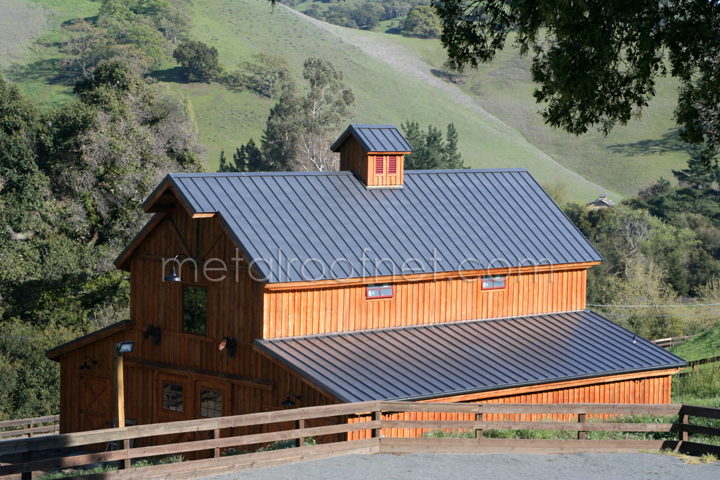 Metal roofs are designed to shed water from rain and snow - and then dry out. If enough debris stays in your gutters, it's possible that they could stop the edge of your metal roof from drying out. This could cause corrosion on a roof that would otherwise last 100 years when allowed to properly drain. 5. Keep that painter with his sprayer away from your metal roof! One of the most ridiculously wasteful occurrences that is seen all too often is the over-spray from a hurried painter permanently marking a lovely metal roof. I've seen it all too often - a client installs a metal roof to keep his home looking sharp for the next 50+ years, and then some painter decides he's going to save time by using a sprayer to paint the walls or eaves. The overspray is blown by the breeze and deposited in a random cloud all over the new roof. The careless painter just ruined the look of the metal roof - and there's almost nothing effective that can be done to clean it off! Tell the painter to use a brush and rollers - and protect that roof!